The only true downfall about living in a small town is the lack of a variety of restaurants. Paso Robles has a few fabulous restaurants and the variety is ever-improving, but there is only so much demand and I imagine it will be a while before someone opens a the things big cities have, like a vegan restaurant, mozzarella bar, East-Coast-style deli, or a crêperie….which brings me to the origins of this post. When I was craving crêpes the other morning, I had to make my own. Luckily, they were quick and easy and tasted just as good as the ones I remember eating in Paris. Besides, Wine Country can be every bit as romantic as Paris! I ate these for breakfast topped with raspberry preserves. My favorite way to eat them is with Nutella, folded into quarters. Whisk together the flour, eggs, milk, sugar, salt and 1 1/2 tablespoons of the butter in a medium bowl to form a smooth batter the thickness of heavy cream. Cover and refrigerate for at least 1 hour or overnight. 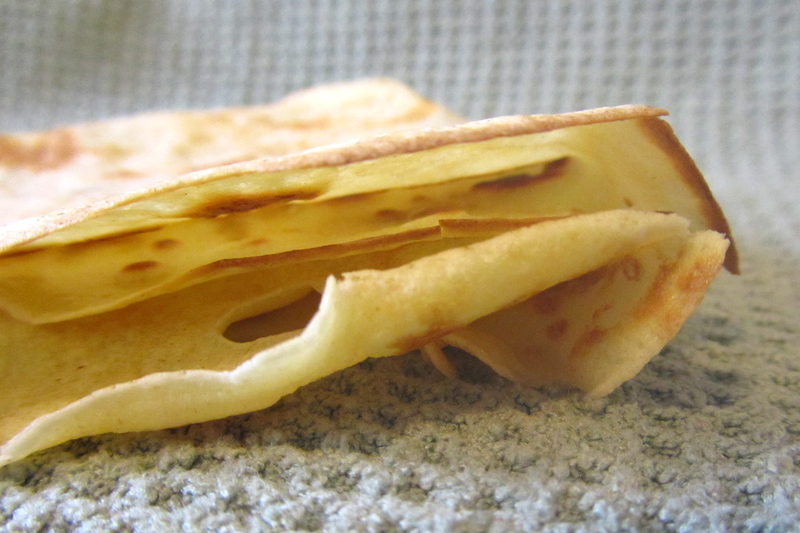 Heat a crêpe pan or small, heavy nonstick skillet over moderately high heat. When the pan is hot, brush with a light coating of the remaining butter. Ladle about 3 tablespoons of crêpe batter into the pan, tilting the skillet to evenly coat the pan with batter. Cook until golden brown on the bottom and the top begins to look dry, 1 to 2 minutes. Using a spatula, carefully turn the crêpe and cook on the second side just until the bottom colors slightly, about 30 seconds. 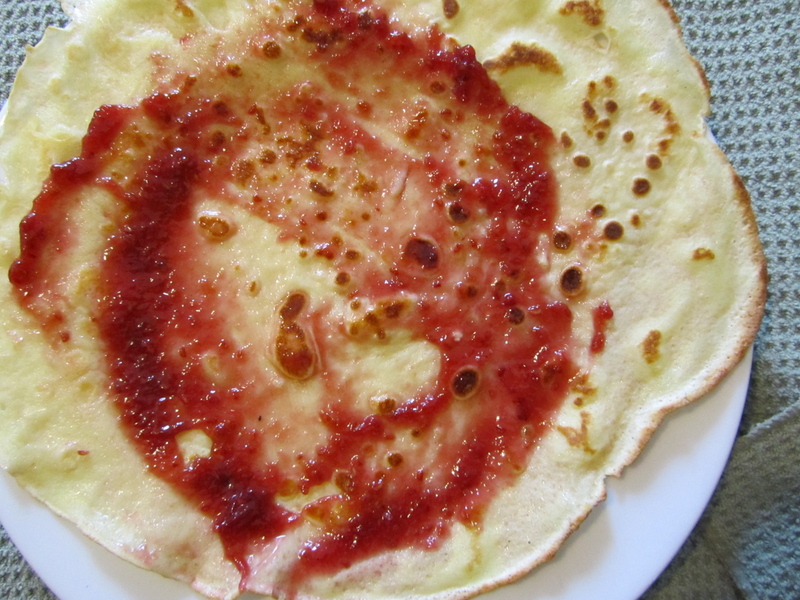 Transfer the crêpe to a plate and cover loosely to keep warm. Repeat with remaining batter. 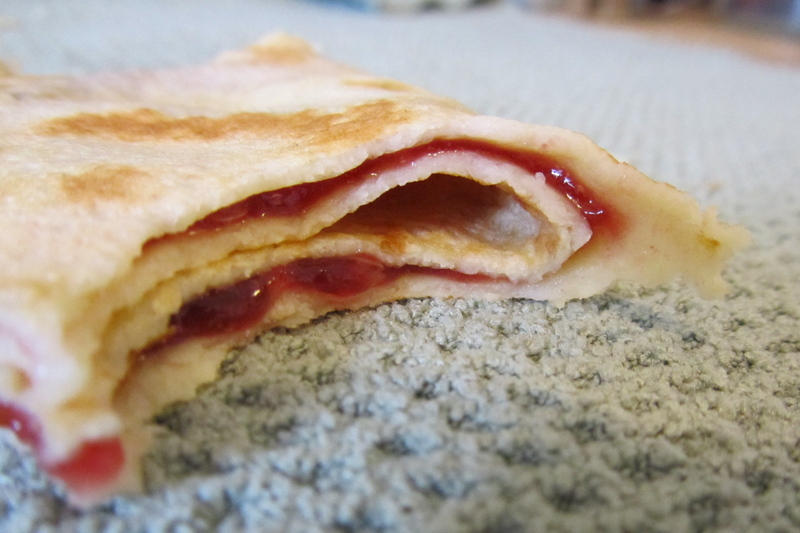 This entry was posted in breakfast, dessert, vegetarian and tagged breakfast, crepe, dessert, France, Jam, jelly, Nutella, Paso Robles, preserves by Laura Zolnoski. Bookmark the permalink. Crepes! My kids beg for them. If you like chocolate, try spreading Nutella on them. Yum.